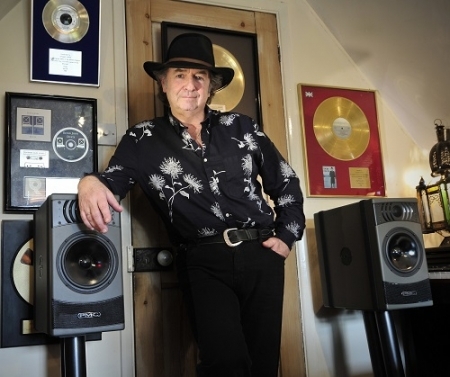 During a career spanning more than 40 years, Stuart Epps has worked with many legendary musicians including Elton John, George Harrison, Bill Wyman, Paul Rodgers and Chris Rea. For many years he was head engineer at Gus Dudgeon�s The Mill studios, which was renowned as one of the most modern and best equipped recording facilities of its time. When Led Zeppelin�s Jimmy Page bought The Mill in 1980, Epps stayed on as studio manager and worked on the last Led Zeppelin album Coda in 1982. He also remained in post during its tenure as Chris Rea�s studio, eventually leaving in 1994 to manage Alvin Lee's private Wheeler End studio, which Epps turned into a commercial residential recording facility. Among his customers were John Leckie (Beatles, Stone Roses, Muse) and Craig Leon (The Ramones, Blondie). Epps also worked on projects with Oasis, Robbie Williams, Mark Owen, Paul Weller and Chris de Burgh. �The internet has transformed my role as a producer because I can now work with artists in many different countries without having to leave my own studio,� Epps explains. �A lot of the artists I work with are up and coming and my role is to offer them professional feedback and make sure they sound their best on everything from a demo recording through to a full studio production. Artists who have recently benefited from Stuart Epps�s input include Andy Jordan, from TV�s Made In Chelsea, Ukrainian singer Kamalia, Norwegian artist Petter Warvold, Danish singer songwriter Juliet Epps, Steve Jiske, EMEYNA The Rock Queen, Erin Bloomer, Audio Circus, Mariella Ishkhanian and Ginger Tom.